Moby Grape’s debut encapsulates the frantic power and inspired genius of the group in the brief moment that it existed. All members contributed songs to this explosive record, giving each song a fresh feel within the triple-guitar rock/country/psych Grape sound. The songs are quick, great, and perfect illustrators of the San Fransisco sound from whence they came. The problem is, things practically fell apart for the Grape after their debut record; it’s widely reported that the talents of this great, legendary band fell prey to mismanagement. If the Jefferson Airplane were today’s “Strokes,” then Moby Grape were “The Vines” or “Jet” or whatever over-hyped carbon copy band the music industry could get on the shelves in the wake of the former. Their record company released five singles at once, trying to stir up an artificial demand. 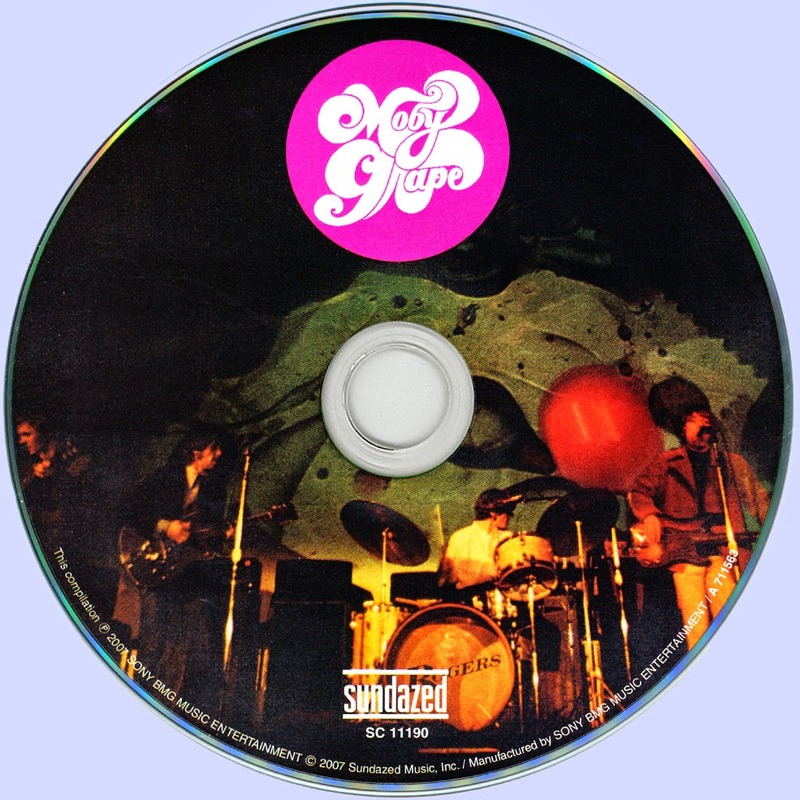 Worst of all, the mismanagement continues today with the Moby Grape name being held hostage by some guy named Matthew Katz (hence, the still exorbitant CD price). The 2007 reissue of this record from Sundazed has been halted as well, producing a stilted run of 180G vinyl lps that are going for hefty prices on ebay. Following the recording of this record, frontman Skip Spence lost it Syd Barrett style and took an axe with him on a short rampage at his band member’s hotel before being committed to Bellevue Hospital. After his release, he would take off on his motorcycle, equipped in pajamas rather than leather jacket, on the way to record his magnificent, and only solo album, Oar. 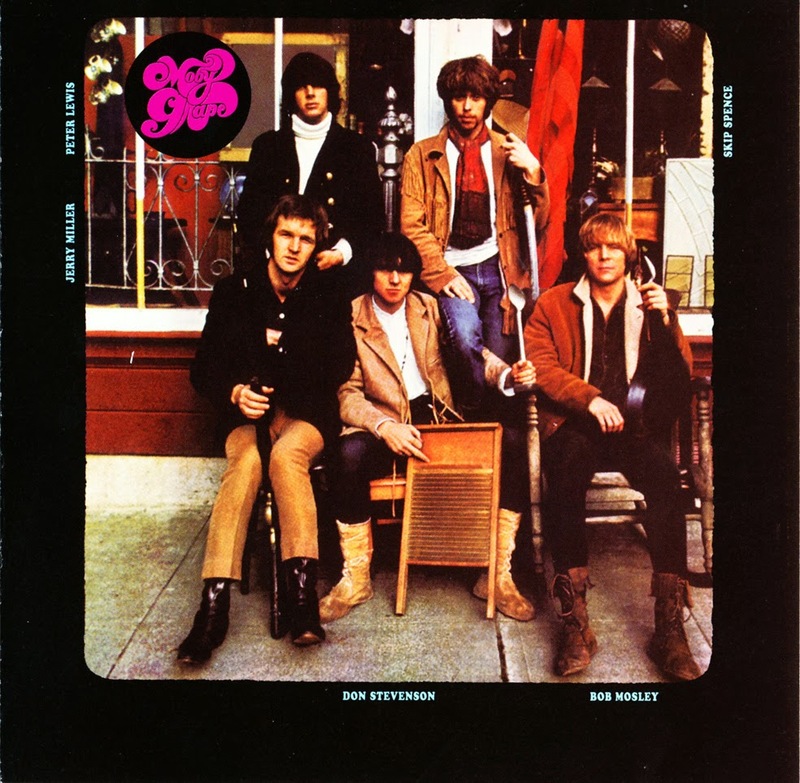 But despite these unfortunate circumstances, Moby Grape’s eponymous debut remains well respected as one of the best albums of the psychedelic era, its sound still holding up extremely well. In fact, you may have even heard the sometimes classic rock radio-worthy Omaha. And while this powerful debut may be one of the best rock records of all time, the Grape managed to reinstate its spirit in moments over several more excellent albums during their frenzied life span.